1. 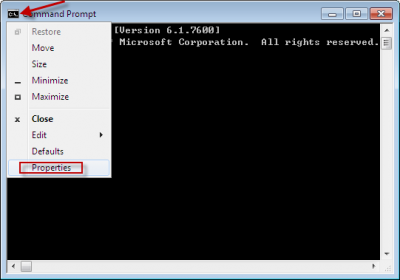 Right click anywhere in the top bar (or left click on that small thumbnail in top left) of the small command prompt window and select “Properties”. 2. Click the Font tab and simply select the font size you like and click OK . I use 7 x 12 font size and Raster Fonts.